LeadingAge offered a student program at the 2019 Leadership Summit for students enrolled full-time at an accredited college or university at the undergraduate or graduate level. The program exposed students to the dynamic world of aging services and introduced them to cutting-edge practices and the transformational, forward-thinking leaders who are shaping the future of our field. Students participated in conference education and networking opportunities, gained connections with seasoned professionals, and accompanied leaders to meet with Congressional representatives and advocated on behalf of elders and the people who serve them. Advocacy 101 – Students will gain a basic understanding of legislative visits and how to influence critical policy-making decisions. They will discuss LeadingAge’s policy priorities for 2019 and how they can participate in the LeadingAge Lobby Day on Wednesday, March 20. Lobby Day – Students will be paired with a mentor and join a state group on Capitol Hill to collectively tell lawmakers how their actions affect the work of aging services providers and the people they serve. Access to all events included in full registration (Student Program is Tuesday/Wednesday, though students are welcome to join Monday as well if their schedule permits) or register for one of the days! LeadingAge invited full-time students (over the age of 18) to submit an application for a chance to attend the 2019 Leadership Summit as a complimentary guest. Students are responsible for covering hotel, airfare and other expenses related to the event. You must be a full time student enrolled in an undergraduate or graduate program at a college or university at the time of the conference (March 2019). Be able to demonstrate an interest in aging services. You must be at least 18 years of age by March 1, 2019. Please do NOT register for the PEAK Leadership Summit prior to receiving your complimentary registration acceptance letter. Applications as of March 14 are no longer accepted. LeadingAge covers the Leadership Summit registration fee. Students are responsible for covering hotel, airfare and other expenses related to the event. Applications must be submitted no later than March 14, 2019. You can expect to hear back from LeadingAge within 5-7 business days regarding your application status. Once approved, you will be given instructions as to how to obtain your complimentary registration. I am always looking for opportunities to build face-to-face connections with other experts in and out of the field, which is why I will be at the Leadership Summit. 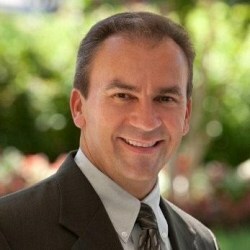 Roberto Muñiz - President & CEO, Parker Health Group, Inc.